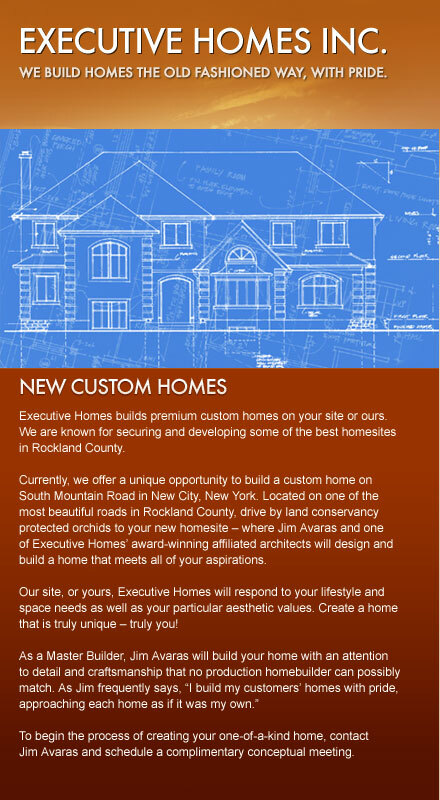 "Your professional and personal service made building a custom home a pleasure. The quality of workmanship and the attention to detail is evident throughout and my house was delivered on time." 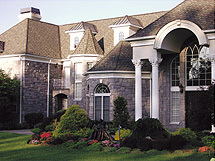 "We purchased a custom built home from Executive Homes and are very pleased with the result. Mr. Avaras takes great pride in the work that he does and it shows in the numerous hours he spent on the detail work. It was a pleasure to work with him and we would highly recommend him." "Our thanks to you for helping to create the home of our dreams. We were especially impressed with your honesty and candor and are certain that by following your guidance we will be enjoying a trouble free home for years to come." ©2008 Executive Homes Inc. All rights reserved.